Super Smash Bros. Ultimate packs an unbelievable amount of content into a pint-sized package. Not only is there an incredible 74 fighters to choose from, there’s over 1000 audio tracks, and a brand new single-player campaign mode. With all of these new features, you might be feeling a little apprehensive about which fighter you’re going to run with. Well, to help you out, we’ve been busy pulling together character guides on every single one. In this Super Smash Bros Ultimate Marth Guide, we’ll be detailing everything we know about how Marth handles in the game. We’ll go over their moves, changes from the last game, and Final Smash. Let’s get started. For this Super Smash Bros. Marth Character Guide, we’re looking at Marth—the central protagonist from the original Fire Emblem game. He is a formidable fighter in the right hands, with lightning-fast sword attacks and some pretty powerful aerial moves. We’ve pulled together everything you need to know below. This Fire Emblem character has a variety of moves, all of which you can see in the table just below. You can also find Marth’s Final Smash move just below, called Critical Hit. Several of Marth’s animations are different including his victory pose, jumpsquat, Jabs, forward throw, down throw, and Shield Breaker ending. Speaking of Shield Breaker, it can now be aimed manually by the player. 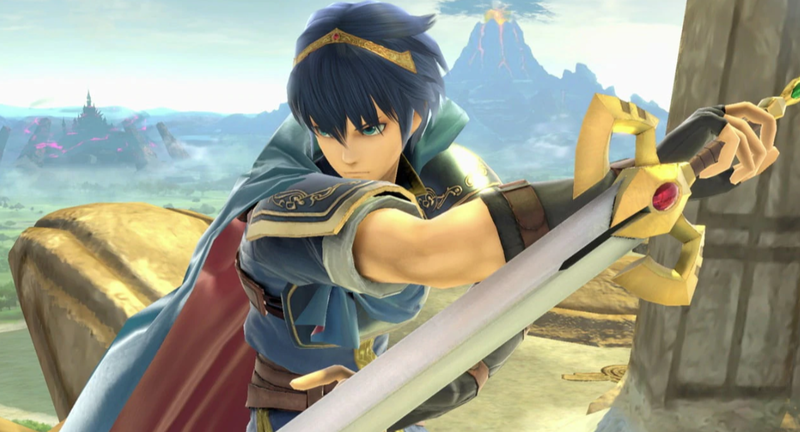 Falchion, Marth’s weapon, has a new look. Dash attack deals more damage. Dolphin Slash has been altered slightly, in that it now sees multiple shots of Marth after it finishes. Standing Grab is quicker to execute. 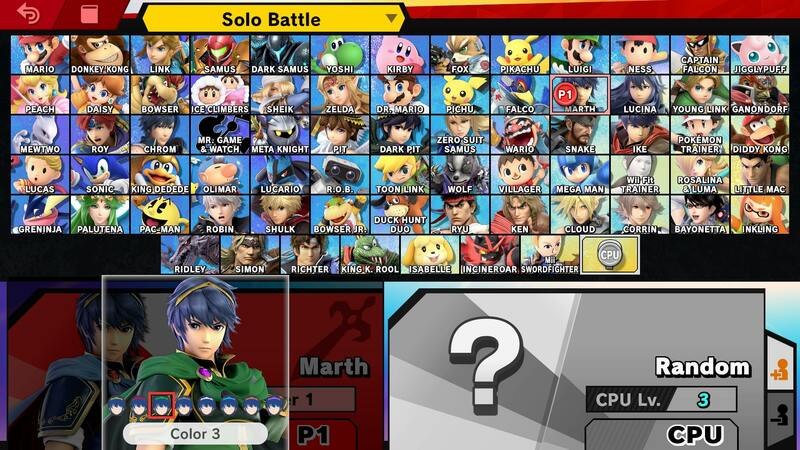 Marth has a number of alternate outfits in Super Smash Bros Ultimate. They are fairly similar to his ones in his last appearance, though the color palettes have been altered slightly. Each variation has a different color scarf and accenting on the armor. There are blue, red, green, black, white, light blue, orange with brown armor, and indigo versions. We’ll be adding in screenshots once we get our hands on the game. Marth’s Final Smash in Smash Bros Ultimate is Critical Hit. It’s a very powerful move indeed, but does come with a risk—there’s a good chance you’ll be knocked offscreen if you miss. There is a failsafe, in that you can press B after you miss to cancel, but you’ve got to be quick. You can check out how Critical Hit looks in the video embedded above. 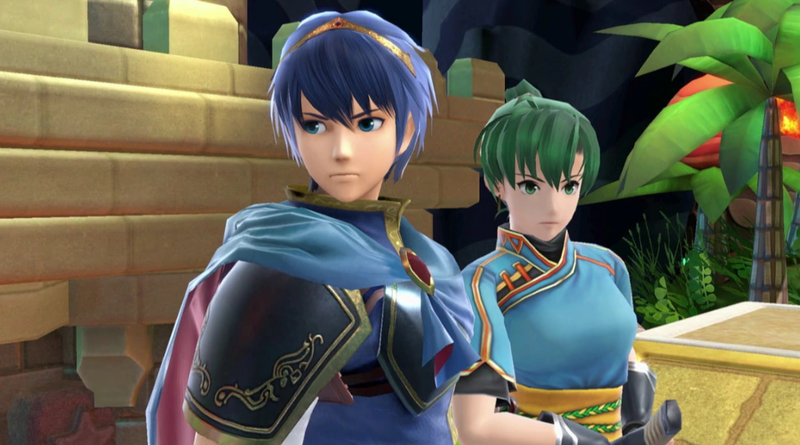 That’s everything we know about Marth in Super Smash Bros. Ultimate. We’ll be updating this guide and other character guides as we get more info, so be sure to check back in regularly. For more on the game, head over to our Super Smash Bros Ultimate Guides hub. It’s got stages, trailers, details on amiibo, and more.